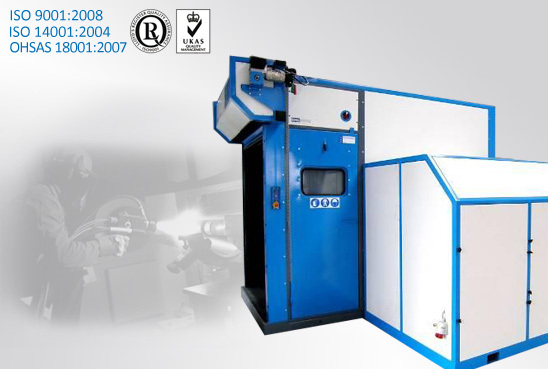 Thermal spray rooms are dedicated to metal coating by using spray equipment. Thermal spray rooms offered by SciTeeX are designed to ensure optimum working conditions and to make the agents used in the spraying process less harmful. The rooms protect the environment and other work spaces located in the same hall. Depending on the needs, thermal spray rooms can be adapted for many thermal spraying methods such as arc, flame, plasma and HVOF.